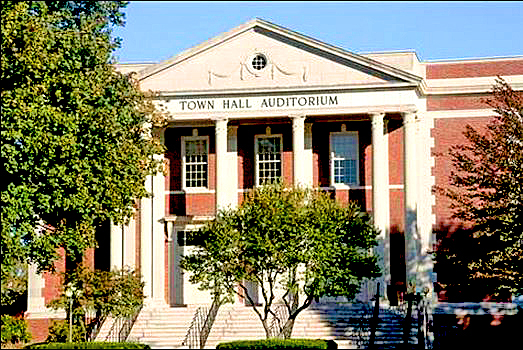 The West Hartford Town Hall, in West Hartford Center, is just minutes from I-84. 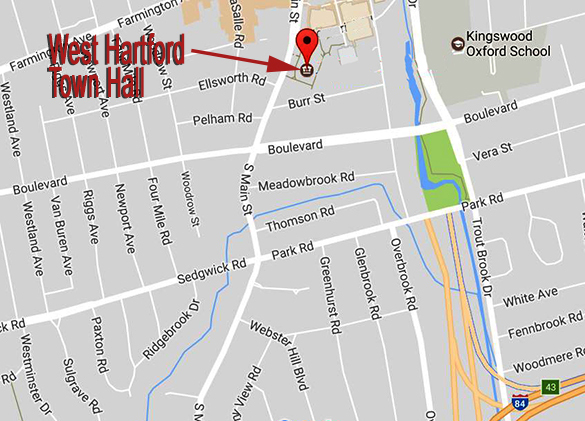 Set your GPS device for 50 South Main Street, West Hartford, CT, or get directions from where you are here. Turn left off the long exit ramp onto Park Road. At the second light turn right onto South Main Street. Drive 3/10 mile to the West Hartford Meeting & Conference Center (large brick building on your right). Enter the auditorium through the pillared entryway on South Main Street (see photo above). Coming from the west (i.e., heading toward Hartford), turn left at the top of the ramp onto South Main Street; coming from the east (i.e., from Hartford), turn right at the top of the ramp onto South Main Street. Go straight (north) on South Main Street about 1.5 miles to the West Hartford Meeting & Conference Center (see photo above). Enter the auditorium through the pillared entryway on South Main Street. Follow the directions above, but do not enter the gated lot; instead, pass the Conference Center, turn right onto Memorial Drive, and then take an immediate right into the circle drive. Enter via the sliding door on the circle level and take the elevator to the third floor (auditorium level). Metered parking is available along South Main Street, and there is free street parking on side streets off South Main Street. However, there is a parking lot immediately in back of the West Hartford Town Hall, accessible from both South Main Street and Raymond Road, and it is free for HCD Swing dancers if you take your parking ticket with you and validate it once you are in the building. 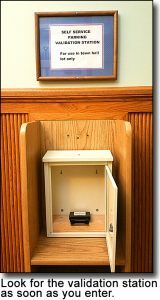 The validation machine is next to the admissions desk as you enter, and there are clear, simple instructions on the machine for how to validate your ticket.